Includes 6' x 30" table for work space, with 6' x 18" raised black shelf attached for serving; overall height 42" height from ground. Tin bar face is hinged to cover front and sides of table. 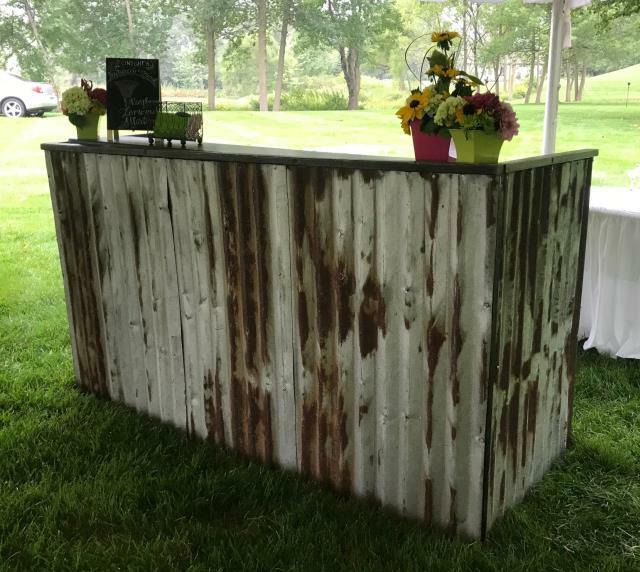 * Please call us for any questions on our bar 6 foot tin rustic rentals in Ft. Wayne IN, Warsaw, Syracuse, Auburn, South Bend, Indianapolis IN.